When will be Problematic with Moshe Kasher next episode air date? Is Problematic with Moshe Kasher renewed or cancelled? Where to countdown Problematic with Moshe Kasher air dates? 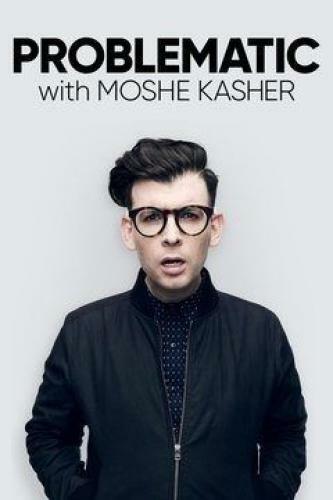 Is Problematic with Moshe Kasher worth watching? On Problematic with Moshe Kasher, Kasher will invite viewers to log off and bring their online outrage into the studio for a raucous discussion. Per the network, Problematic will crawl into the social media muck and put out flame wars and raise provocative questions with the help of experts, comedians, and the studio audience. Ann Coulter joins the panel as Moshe takes on the alt-right. Problematic with Moshe Kasher next episode air date provides TVMaze for you. EpisoDate.com is your TV show guide to Countdown Problematic with Moshe Kasher Episode Air Dates and to stay in touch with Problematic with Moshe Kasher next episode Air Date and your others favorite TV Shows. Add the shows you like to a "Watchlist" and let the site take it from there.